In March, the WTO conducted its 5th review of the Philippines’ trade policies and practices. Since its last Trade Policy Review (TPR) review, the Philippines has carried out various reforms. Nonetheless, WTO members pointed to the need for further efforts, including in its government procurement system. Of particular concern is a nationality requirement that restricts participation by foreign-owned entities in public procurement. The Philippines is not a signatory of the WTO Government Procurement Agreement (GPA), or even an observer; nor has it implemented any trade agreement that opens its procurement. Based on the TPR, this post examines key elements of the Philippine procurement system. Since the early 2000s, the Philippines has undertaken reforms aimed at establishing an open, transparent and competitive government procurement regime. Its Government Procurement Reform Act of 2003, which consolidated its procurement framework, together with its 2016 Implementing Rules and Regulations govern all types of procurement of goods, services and construction works, including foreign-funded procurement unless otherwise provided by international treaties or agreements. Its law and regulations apply to the procurement of all government agencies, including local public units and autonomous regions, state universities, public corporations and public financial institutions. The Government Procurement Policy Board, “an independent inter-agency body with private sector representation” formulates the country’s procurement policy and facilitates implementation of its rules and regulations. In general, the Philippines procurement system is decentralized with each procuring entity carrying out its own procurement. However, all procuring entities must procure their common-use supplies and equipment from the Procurement Service of the Department of Budget and Management. To promote transparency, the Philippine Government mandates the use by all procuring entities of the Philippine Government Electronic Procurement System (PhilGEPS) in all their procurement activities. All suppliers must also register on that system at http://www.ps-philgeps.gov.ph/egp/supplier.html. 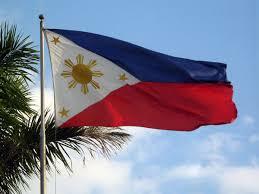 The Philippines restricts participation by foreign suppliers in its procurement by applying nationality requirements. In order for foreign firms to participate in procurement of goods and consulting services, Philippine citizens must own at least 60% of the firm. Infrastructure projects require 75% Filipino ownership. when there is a need to prevent situations that thwart competition or restrain trade. The WTO Secretariat pointed out the consequences of the Philippine restrictions: of 930,557 contracts awarded between 2012 and 2016, only 524 contracts (0.05%) were awarded to foreign suppliers. The TPR chair, in summarizing the views of WTO members, noted the need for further procurement reforms and concerns with the “market access conditions for foreign suppliers in public procurement”. WTO members encouraged the Philippines to consider joining the GPA. According to Inside U.S. Trade, the United States joined in encouraging GPA membership and also criticized the domestic ownership requirements as well as preferential treatment of domestic goods in bid evaluations. To date, the Philippines has not taken government procurement commitments in free trade agreements (FTAs). A bilateral FTA between the Philippines and the European Free Trade Association (EFTA) was signed in 2016 but has not yet been ratified. Its procurement provisions are limited to ensuring transparency and do not include market access commitments. The Philippines is engaged in negotiations of a bilateral FTA with the European Union, including on government procurement. Since those negotiations were launched at the end of 2015, the trading partners have held two rounds of negotiations. In addition to obstacles to foreign participation in Philippine procurement, the WTO Secretariat report pointed to the continued “high risk of corruption” in its procurement system. This entry was posted in International Procurement, Philippines, WTO Government Procurement Agreement (GPA), WTO Trade Policy Review and tagged Domestic preferences, Government Procurement, Philippines, WTO Trade Policy Review by Jean Heilman Grier. Bookmark the permalink.